There is something striking about French decorating. 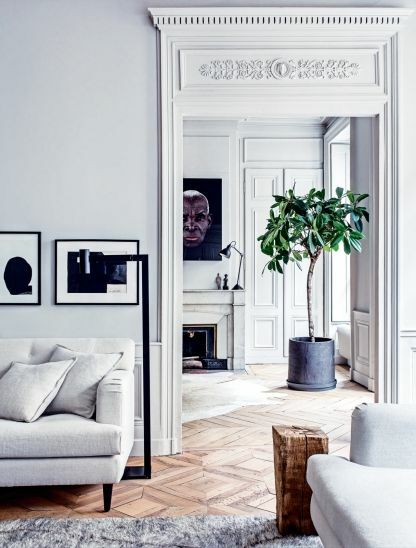 While Scandinavian influence is currently everywhere, French decorating is close by and on its way back. There is no avoiding the quiet confidence French decorating has as they mix classic and contemporary styles with perfect ease. No antique stuffing; instead velvet, light colors, with charming quirky and even bold pieces, that look arty and chic make their rooms stand out. The simple color palette reinforces the new French decorating style for an immediate sense of calm. 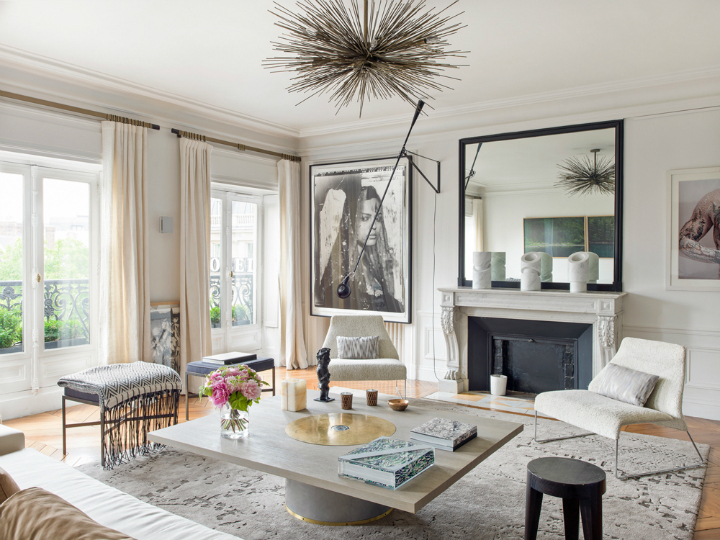 The trend of white decor continues to make a big impact in French decor; no matter what other colors are added to the room. The French have buildings steeped with strong architectural features. Where once richly and ornately decorating, white paint allows textures and motifs to peek through. They don't fight them, but tame them using simple white color palettes. These textured blank canvases allow modern and contemporary pieces to stand out; subtly and uniquely. Light walls help to maximize any natural light while providing a background for any eclectic mix of rustic, handmade, antiques, fabrics and art that the French love. Blue and green are back, in all colors and shades. Blue is everywhere; like this striking blue velvet sofa, with metal frame and legs that is modern and easy to live with. 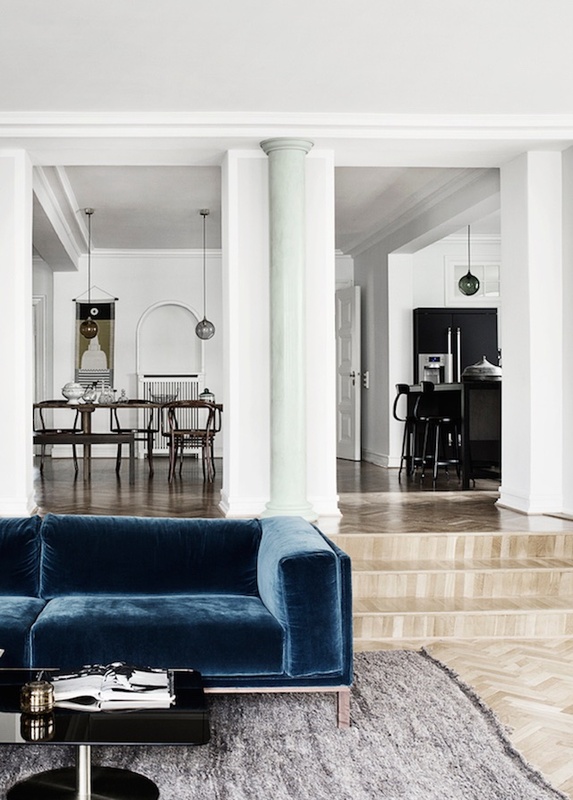 Velvet with linen is also a big trend; living together easily. The new velvet fabrics are 40% polyester, which doesn't crush and mark; making it practical as well as lush. There's progress! 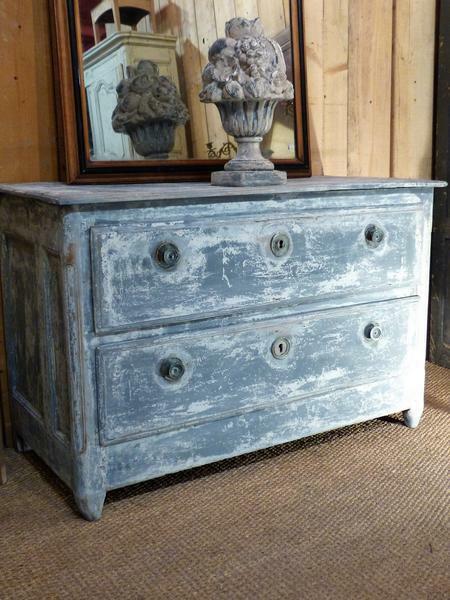 Chalky soft blues marry old with contemporary pieces. While French homes strive to be elegant, they also want them to be functional and livable. Green is everywhere. From dark sombre greens to every other shade of Pantone "greenery" color of the year. 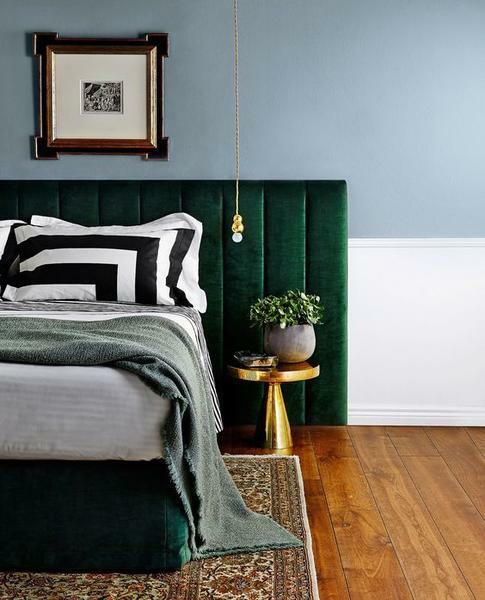 This velvet headboard and base are luxurious and rich; a deep contrast to the soft blue and white walls. The result is a calming bedroom with one bold feature, warm wood frame and floors, and a touch of glitter from the metallic side table. Its simple, elegant and unforgettable. 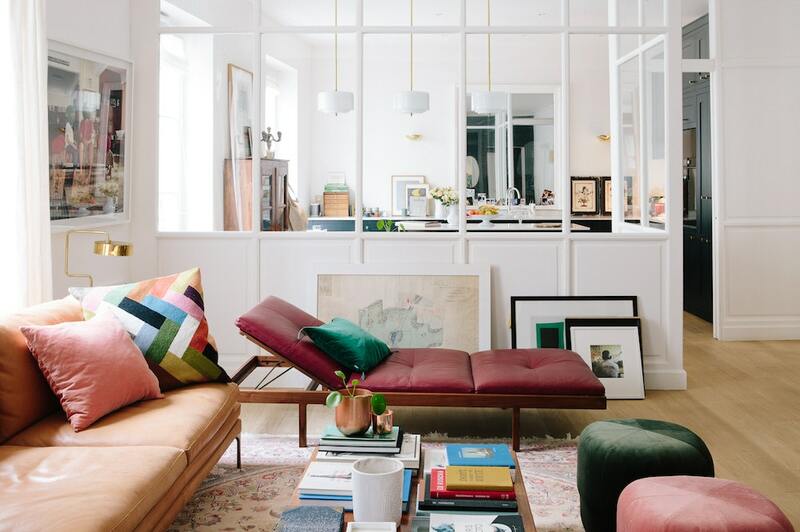 Green accents with brass and gold frames stand out against all white-painted rooms below. 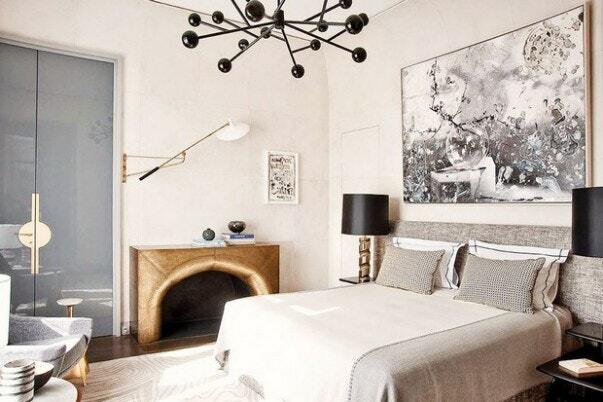 Rooms don't look bland or neutral; they look rich and glamorous, tailored and refined. Rich, luxurious brass touches using hardware and accessories is an easy way to enjoy the latest French metallic trend. Gilded frames on mirrors or paintings are a classic option but other accessories like light fittings and side tables are new and easy to add. French homes that can afford a lavish touch use dramatic silk drapes that puddle onto the floor. 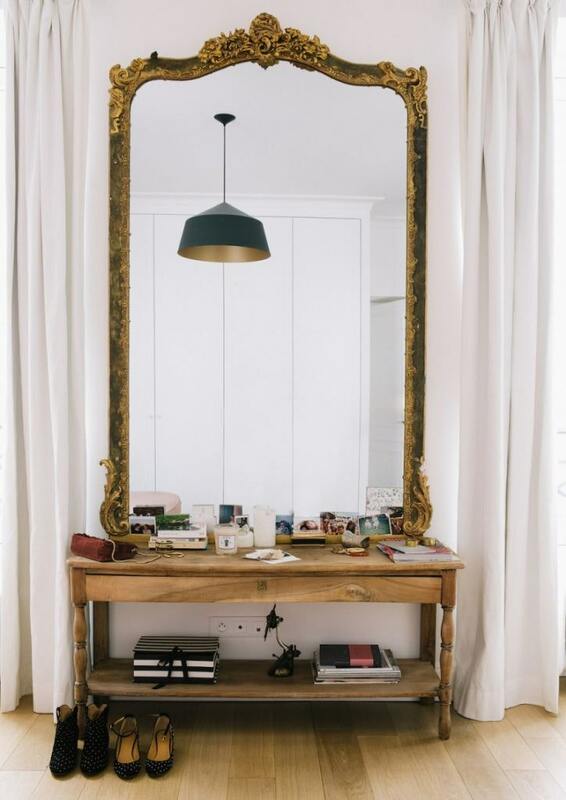 If drapes or curtains aren’t your style, use a bold over-sized gilded mirror to the ceiling. 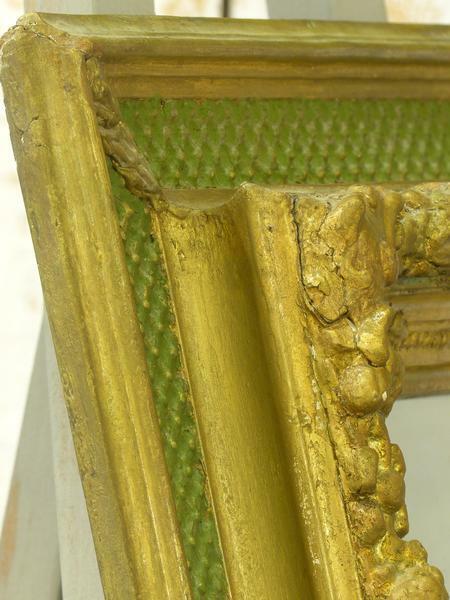 Creating antique gilded or soft chalky looks are relatively simple to duplicate. While walls are often white and simple, furniture, fabrics and paintings are gorgeously chalky and subdued calming tones. From pale mint, white, grey, sand or linen. Interrupt with metallic finishes using brash, gold paint or decorative accents. Don't underestimate the use of black trim. The French know how to use black. It defines, structures and highlights softer colors; it adds depth to textures in lampshades or cushions, against white backdrops without taking over or intruding. 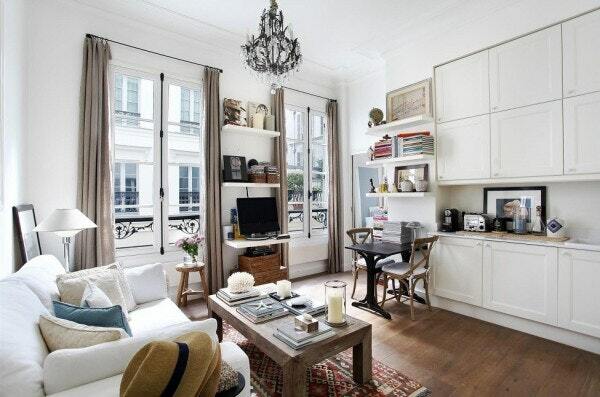 Antiques are easily found throughout Europe and using them in this French decorating trend is a must. How many do you need? Probably none at all, if you use something quirky to give your space an element of intrigue, something curious. Whether its furniture, an over-sized ottoman or a large frame, from shabby chic to chalk paint French, use subtle color palettes, paint, metallics or other DIY techniques to transform them. 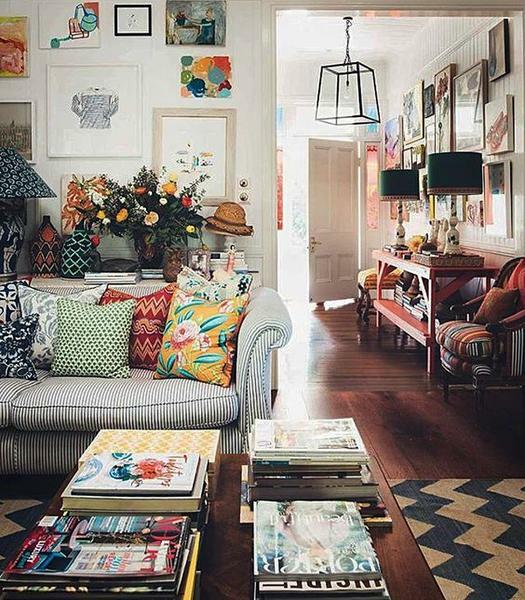 Mixed patterns and texture are not far away and a fun way to add flair to your home. 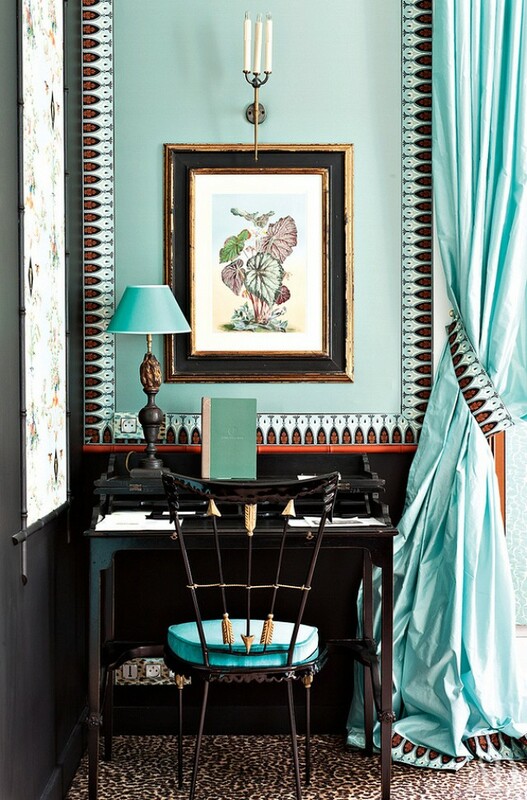 This French decorating trend uses pattern on pattern with smaller pieces or accessories. Take this to the dining room using handmade arty rustic serving dishes with your dinner set and mix with elegant crystal glassware. It's about simple contrasts for maximum effect. A few well-chosen items can create a fun, playful contrast even in sleek, elegant settings, moving your eyes from one quirky feature to another. French decorating trends are using art for a sense of playfulness. Interesting hand drawn cartoons or large lighting pieces; as long as they inject your own personal taste in an original way. Clashes are inevitable, but they also give your rooms depth and interest. Light colored timbers with rich grains are not a new trend but will be seen more and more. French decorating trends have been using raw timbers for centuries and now they are easy to replicate using faux or composite beams or laminate flooring in French oak or birch pieces with the same lovely patina while still beautifully solid. French decorating trends blend modern and vintage styles together. It's a curious balance between rough and smooth. Modern design styles have more technical finesse, and use more synthetic materials. Vintage design styles use wooden pieces and second-hand items from markets. Another big trend is the chandelier as your light fitting. 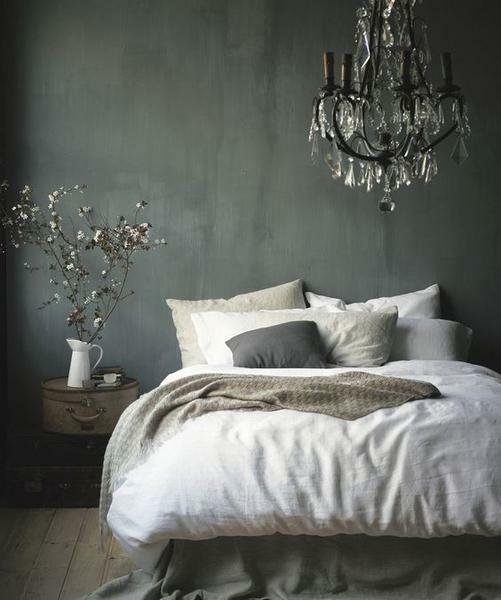 A crystal chandelier in the bedroom adds a luxurious feel; install with a dimmer switch to change the mood. Enjoy these French decorating trends; you'll be seeing more of them in the coming months.